One way teachers and leaders “do the work” is through a text-based approach to planning close reading. This approach is a departure from the way many of us have planned literacy instruction in the past: It puts the text, rather than skills and strategies, front and center. It hinges on the idea that when teachers make meaning of a text themselves, they’re better able to support students to do the same. Watch this video to learn how the team at Garfield Elementary School in Revere, MA, implemented this approach. 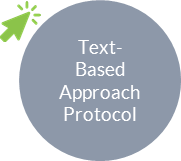 What does it mean to take a text-based approach to planning? How is this approach similar to/different than your own approach to planning close reading? What impact has this approach had on teaching and learning at Garfield? What impact do you think this would have in your own school? Many of our schools start by using the model lessons and texts from Student Achievement Partners. Adopt or adapt these lessons for your own students, or study them to deepen your understanding of this approach. If this approach is new to you or your team, it may be helpful to watch this screen cast, which include hands-on activities and discussion prompts. And if you want a refresher on the basics of text complexity, click here.